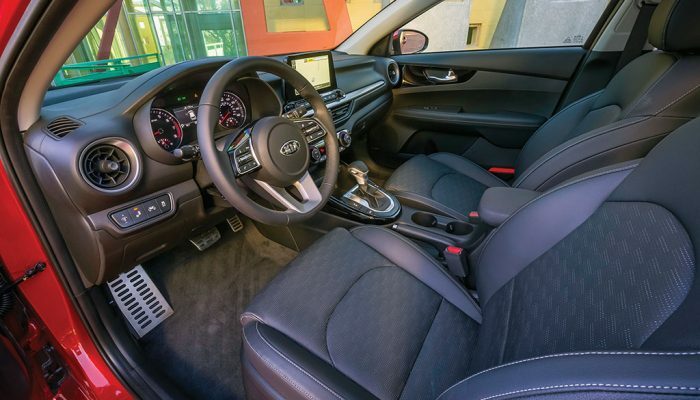 Kia claims the Forte’s design was inspired by the new-for-2019 Stinger sedan, which is difficult to acknowledge since most of the automakers’ products have similar-looking grilles and other design cues. Suffice to say, the 2019 Forte comes with a more expressive front end, while the remaining sheetmetal has enough curves and swirls to avoid being tagged as bland. 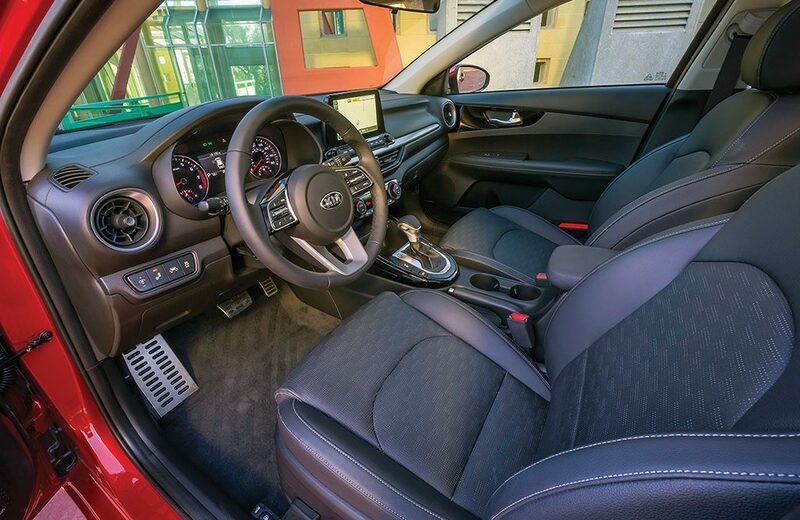 Interior accommodations are also where the Forte has matured. 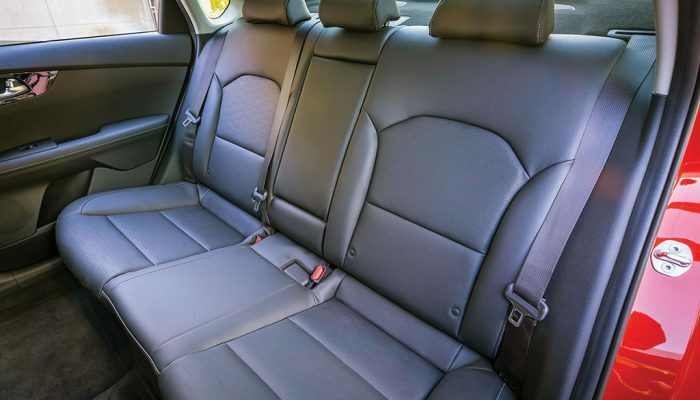 The comfy, well-bolstered front seats appear to be carryovers, but they have lighter and stronger frames. Kia says that denser foam improves overall comfort and increases lower-back support. 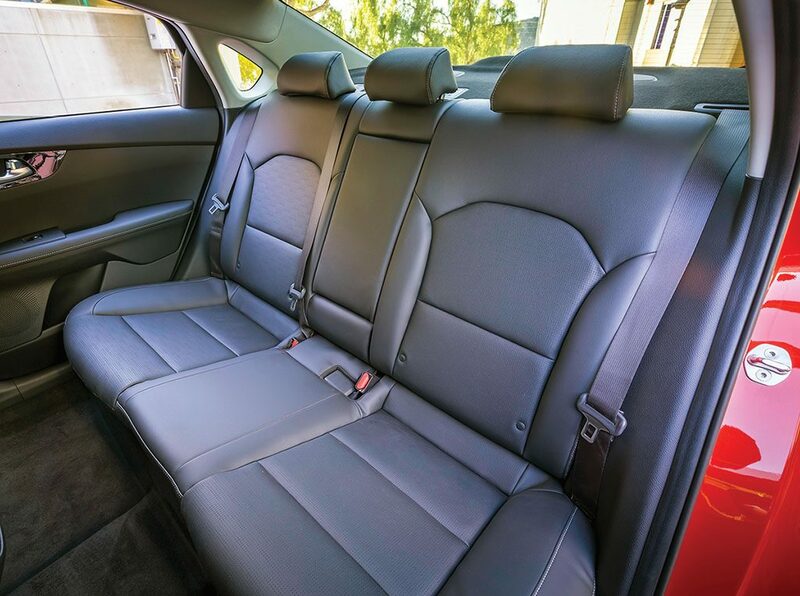 The split-folding rear-seat area is also a supportive and spacious spot, but lowering one or both seatbacks to create extra stowage room can only be done from inside the trunk, which can be awkward. The redesigned soft-touch dashboard and control panel results in a larger floor console/armrest and improved shifter placement. Additionally, the touchscreen is perched above the air vents for easier viewing. The starter button fires up a 2.0-litre four-cylinder engine with 147 horsepower and 132 pound-feet of torque. That’s the same output as before, even with some minor component adjustments to improve fuel economy. 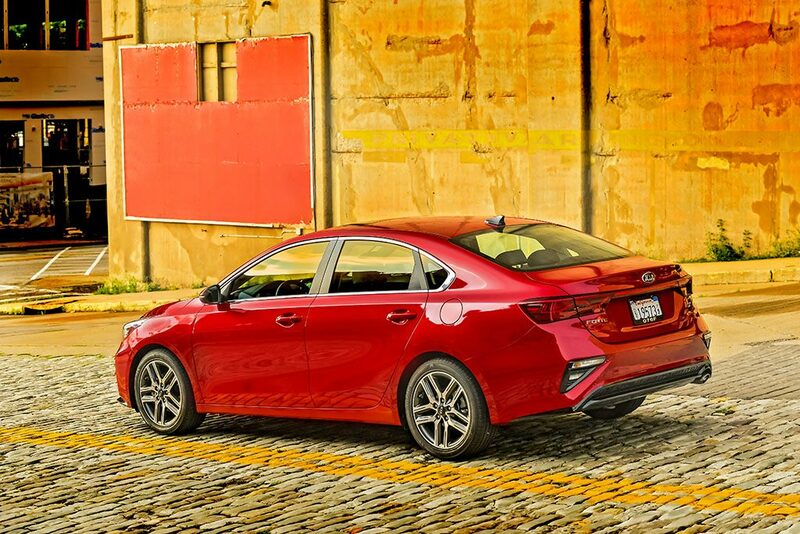 Although not exactly a powerhouse, the Forte is lively, while the retuned suspension inspires cornering confidence. A six-speed manual transmission is standard for the base model, while a continuously variable unit (CVT) is available in the base, but standard for all other trims. It replaces the previously optional six-speed automatic and is lauded by Kia for its fuel-conserving ways. The CVT’s eight simulated shift points are effective at copying a geared automatic’s operation and will fool most drivers. Included with the CVT are Normal, Eco and Sport modes, each with their own shift points and engine characteristics. The CVT earns a combined city/highway rating of 6.9 l/100 km, better than the six-speedmanual’s 7.6 l/100 km rating. The least-expensive (of fivetrim levels) Forte LX MT starts at $18,200, including destination fees. That gets you air conditioning, heated seats plus a heated steering wheel. 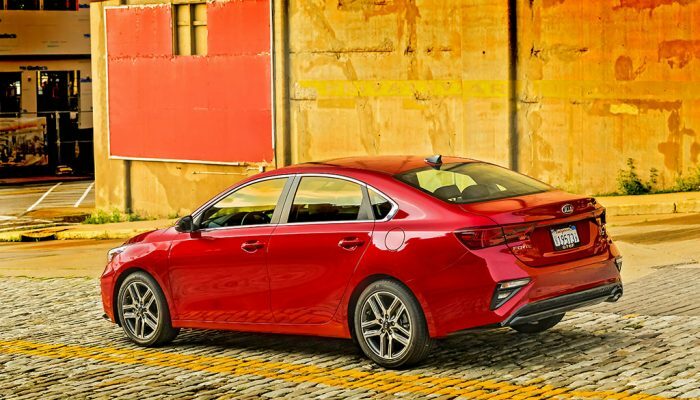 Note that the LX with the CVT adds a number of active-safety technologies to help prevent collisions. At the top end, the EX Limited comes with faux-leather seat coverings, power-adjustable driver’s seat and a trunk lid that automatically opens when the key holder stands near for more than three seconds. Other features for the Limited include a power sunroof, navigation, 320-watt Harmon Kardon-brand audio system and a wireless phone charger. Points: Slightly larger overall, translates into increased interior space. • Better looking than before. 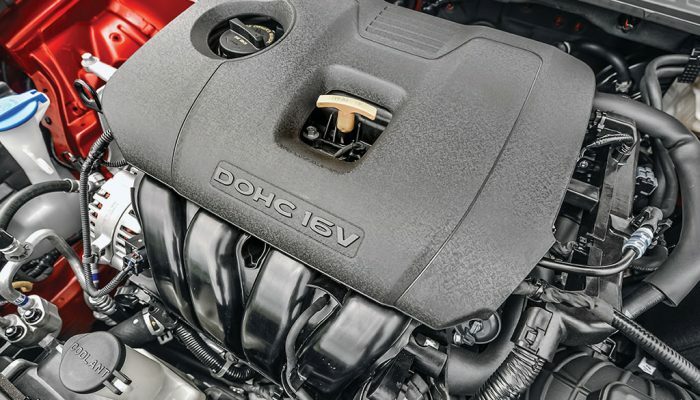 • Engine has decent power, but why not make the Forte Hatchback’s turbo four-cylinder optional? • Top-line model is not exactly fully loaded, adding the extras will substantially inflate the price. • A worthy alternative to small Honda, Chevrolet and Toyota sedans. Active safety: Blind-spot warning with cross-traffic backup alert (opt. ); emergency braking (opt. ); smart cruise control (opt. ); lane keeping assist (opt. ); drowsy driver warning (opt. ); pedestrian warning (opt.) L/100 km (city/hwy) 7.7/5.9 (CVT); Base price (incl. destination) $18,200. 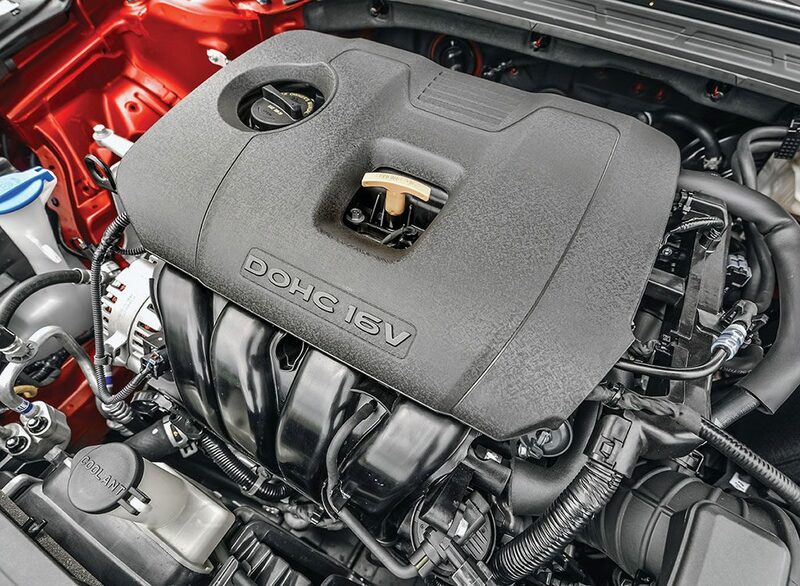 Kia has made some changes to the 2.0-litre four-cylinder engine to improve efficiency.